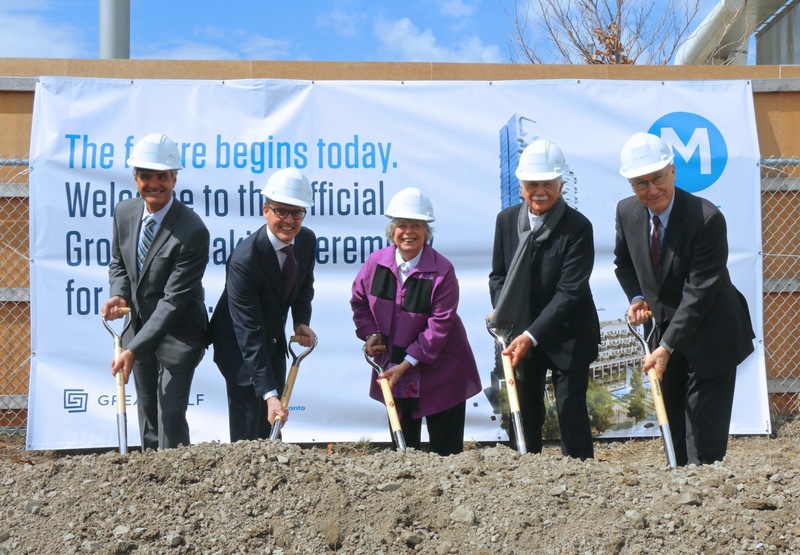 Monde Condos celebrated a major milestone this week as the 44-storey condominium held a groundbreaking ceremony on-site at 12 Bonnycastle Street in Toronto’s East Bayfront neighbourhood. The Great Gulf development is the first residential project to break ground as part of the emerging East Bayfront area which will eventually be home to millions of square feet of employment space, Canada’s first open access ultra-broadband network and thousands of new residences. 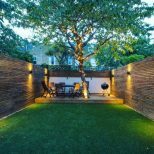 On hand at the event was the project’s architect, Moshe Safdie, internationally renowned for his work on the Mamilla Alrov Center in Jerusalem, the Marina Bay Sands resort in Singapore and Habitat ‘67 in Montreal. Monde is the first residential project in Canada for Safdie since the landmark Habitat ‘67 project. 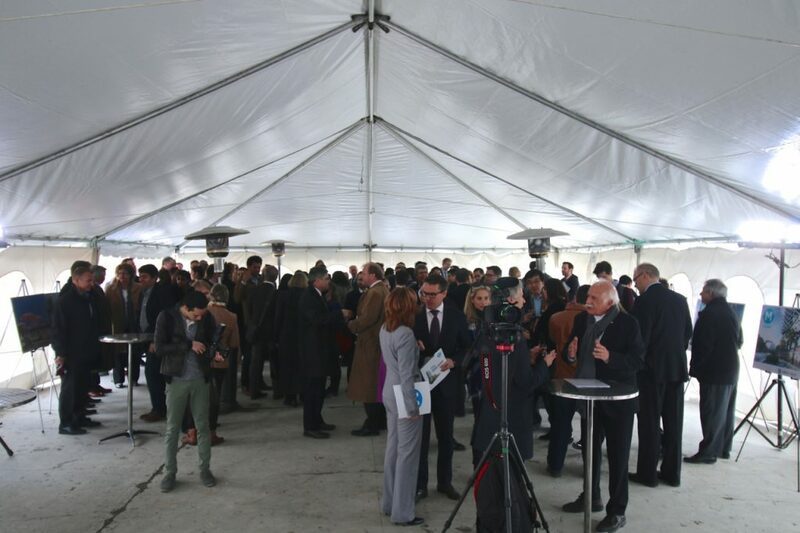 “I am delighted to have the opportunity to contribute to Toronto’s East End Bayfront,” Safdie told the crowd that gathered to celebrate the groundbreaking. 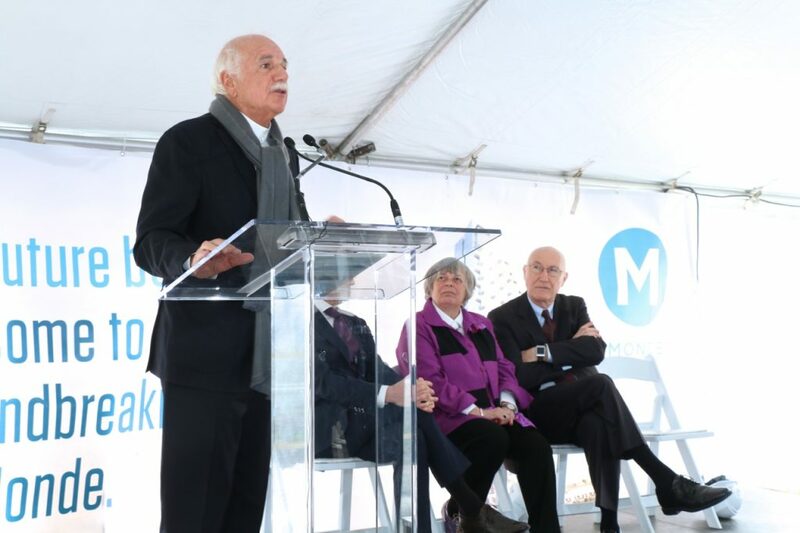 “Moshe Safdie and Great Gulf have provided leadership on design excellence that builds on the strong work of Waterfront Toronto in the precinct,” added Deputy Mayor Pam McConnell. 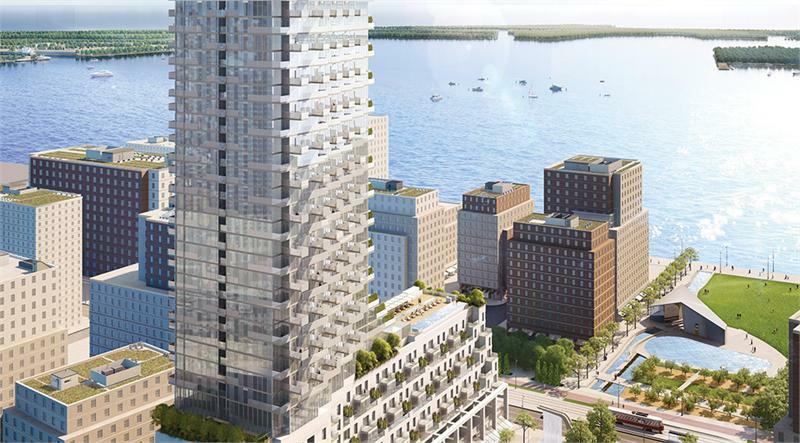 When complete in 2018, Monde Condominiums will rise 44 storeys and feature a reflective white and clear glass facade, accented by large perpendicular balconies allowing for expansive views of Lake Ontario. Inside, the development will house over 500 units with interiors designed by Cecconi Simone that boast custom kitchen cabinets, hybrid kitchen island/dining tables, granite or corian countertops, under cabinet lighting, glass backsplashes and deep soaker tubs. Amenities will include an outdoor infinity edge pool with private cabanas, a fireside lounge, indoor and outdoor entertainment spaces and a café promenade fronting Sherbourne Common Park. Sales at Monde start from the $320,000s. Prospective homebuyers can register online for exclusive updates and visit the presentation centre at 291 Lakeshore Boulevard East. For more information, please call 416 466 8885.